Hello friends, Happy Saturday to you and yours! 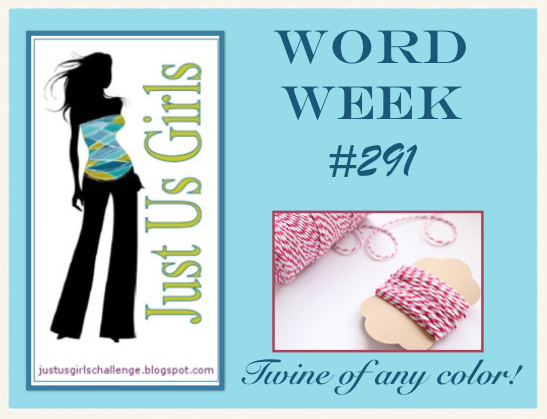 Over at Just Us Girls this week it’s word week and boy do we have an easy one for you! The word is Twine! I told you it was simple, and any color will do fine! Today’s card was made with some new products I purchased quite a while ago, but was waiting for the perfect time to use them, and this was the week. Do you do that? Hold off using a new item till you have the perfect idea? Or am I just weird? Don’t answer that! The stamp and sentiment is from….I have no idea..sorry. There is not indication anywhere on the stamps. 😦 The sun die cut is from Lawn Fawn. I didn’t put ink on the word day at the end of the sentiment on the card above, as I want to make this card a retirement card for a dear co-worker. On the above card I used watercolors to color my images. The sun is made out of textured handmade paper that I got from DCVW. 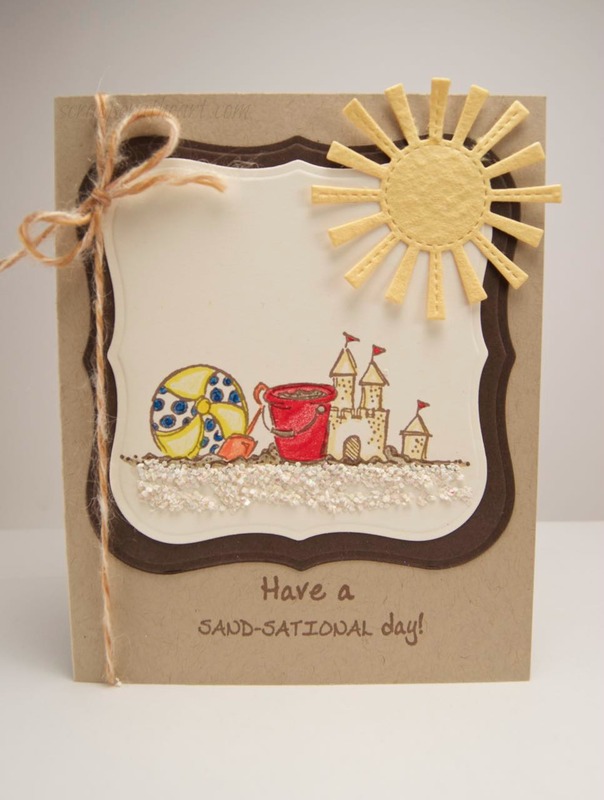 Categories: Cards | Tags: beach, Card making, Cards, rubber stamps, stamping | Permalink. Love your cards, the first one is my favorite! 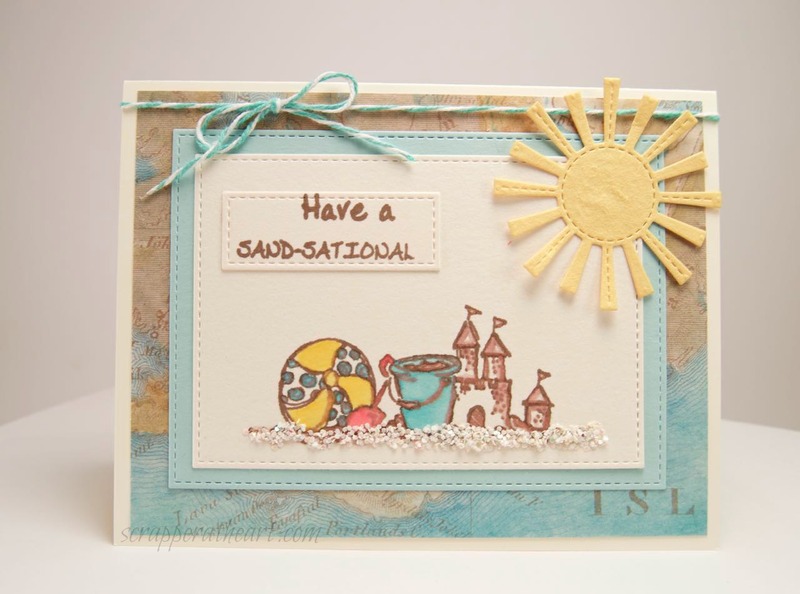 Wonderful stamp, beautifully colored and I love your “sand”! Sometimes if there is even just a manufacturer’s number on a stamp you can track it down by Googling….beach scene #1234…..ya know? Love the cards! 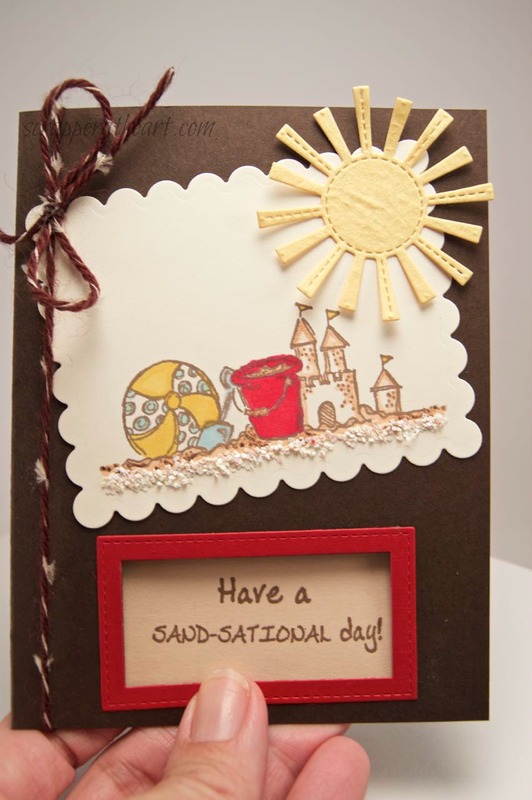 Perfect summer card designs and love the beach scene and how you colored it. 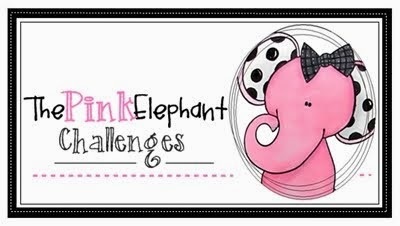 I just noticed your lovely card is not on the JUGS post for the twine challenge. These are some very lovely cards! 🙂 That sun you added to them is a great idea! So cute too! I love both of them with their fun beachy scene! Very cool how you altered the sentiment to fit the occassion. Great coloring, too! Ready for summer! Love LOVE that die cut sun. The cards are all wonderful! This is so cute! I love your sand, it looks awesome! !